Fair Isle Bird Observatory: the Warden's diary: Here we go...? A relatively quiet day on 6th was enlivened by an Arctic Warbler at Pund which proved to be the third individual of this species in three days! The other highlights of the day were a Red-backed Shrike at the Mast that was presumed to be the same bird that was seen later at Field ditch and three Common Rosefinch, with one at the Obs and two together at Midway (one at Shirva was presumed to be one of these two, but could possibly have been a fourth bird). The Subalpine Warbler was also still present, whilst a Merlin was newly arrived. 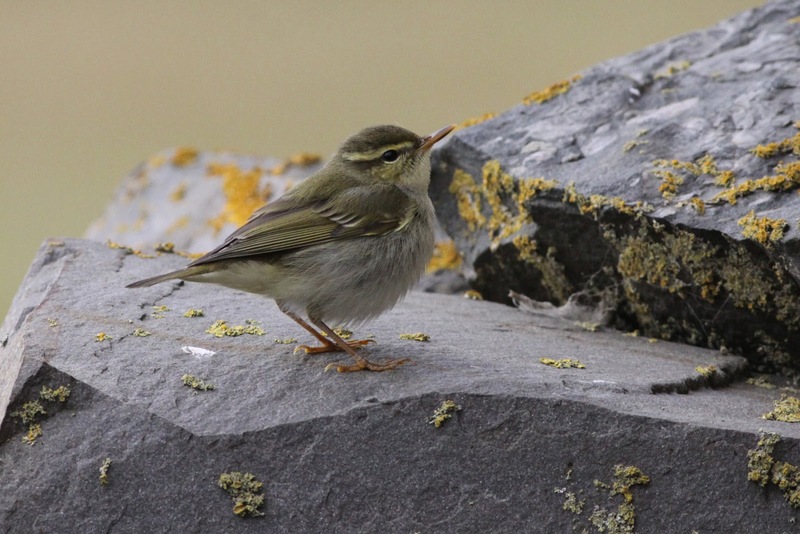 The Arctic Warbler at Pund showed a lot better than the somewhat elusive bird the previous day on the cliffs near North Light. Plumage details indicate that this was a new bird (and yesterday's individual seemed to have an injured right wing). 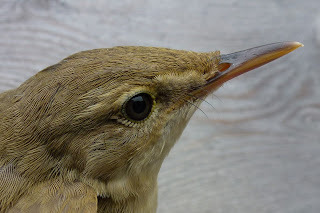 This Blyth’s Reed Warbler was a surprise find in the Gully, although it has now occurred for five consecutive autumns on Fair Isle, with this bird being about the 35th for the island (subject to acceptance and the acceptance of a couple other birds still under consideration).